You choose any six cans (BTW that equals 2 bottles of wine in convenient single serve packages). Simply list your can selection in notes at checkout. Includes delivery to your address. 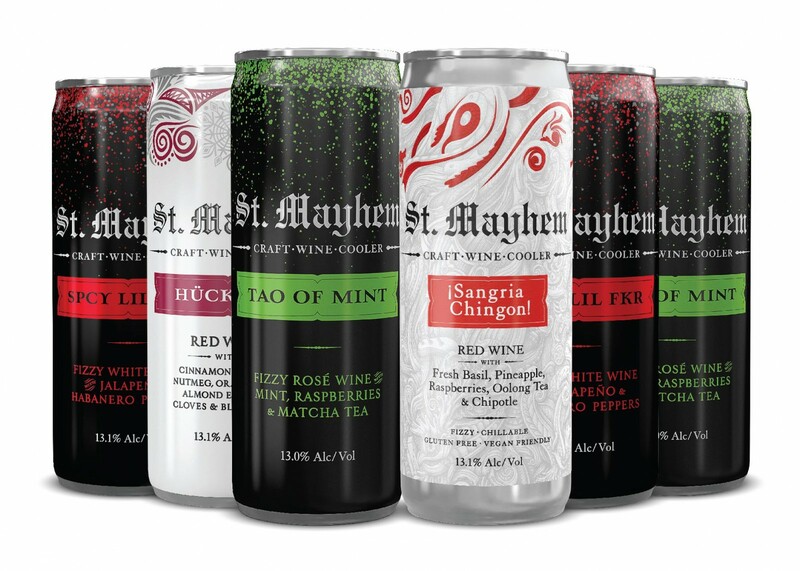 The ONLY way to understand St. Mayhem is to TASTE it. When other people put “real” or “natural” on their label it is often meaningless because it's flavorings, not WHOLE ingredients. How many times have you seen “Organic Natural” and they are referring to flavorings, not the actual ingredient. When we say spearmint – we mean spearmint leaves (pounds of them) that sit in the wine and add flavor slowly over time. The only way to understand the purity of flavor is to taste it for yourself. Huckfest - Red Wine with Cinnamon, Ginger, Nutmeg, Orange Peel, Almond Extract, Cloves and Blueberries.